Grapes are hand-harvested, selected and soft pressed. After removing the must from the lees fermentation starts at a controlled temperature. Delicate straw-yellow with golden nuances. Generous with caressing aromas, balsamic nuances, floral overtones of broom and hawthorn with light exotic fruit. 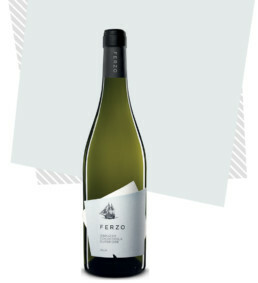 Delicate, harmonic and zesty, fresh and full-bodied. Well balanced in acidity, for a fresh taste. Pleasantly lingering with slightly bitter grapefruit finish. Excellent as an aperitif, ideal with fish salad dishes, raw fish, shellfish and fish-based main courses. Perfect with white meats, boiled and grilled fish, sushi or soufflé. It is a very versatile wine.